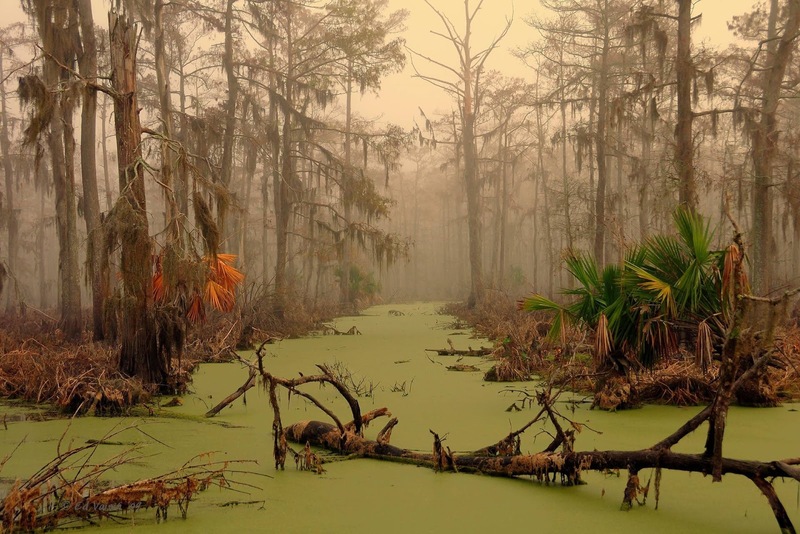 The seditious sights and sounds of the primordial Cypress Forest upend our civilized proclivities with echoes both ancient and malignant. 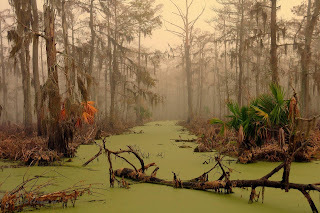 Tennyson’s tooth and nail are sharply in the foreground while the distant, haunting echo of fat French Quarter jazz is deadened by the gauzy forest fog. I am reminded of humanity's slow crawl out of the wet womb of the ancient swamp, our lean bellies still slick with mud.